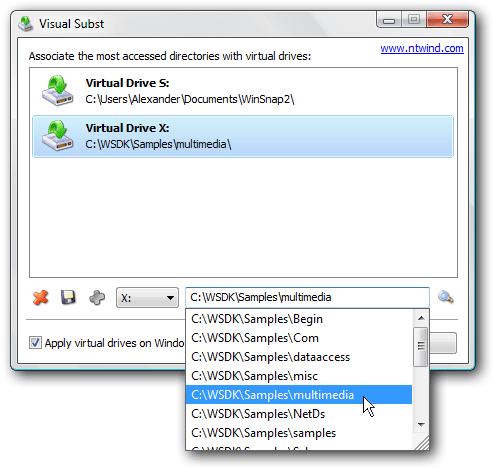 Visual Subst is a little utility to manage virtual drives in a GUI way. Using virtual drives, you will be able to turn a long path (C:\Users\Alexander\Documents\Projects\) into just one drive letter (P:). It may be very useful when working with deep folder hierarchies as well as when working with projects copied from another system. This is just a minor update containing a few small improvements. Yesterday, I bought a Code Signing Certificate, and Visual Subst v1.0.5 is the first digitally signed release. I will write an article explaining the benefits of using digital signatures soon.